At the Hari Krishna Temple in Utah. Many gathered for the anual color fest a festival that rings in spring. 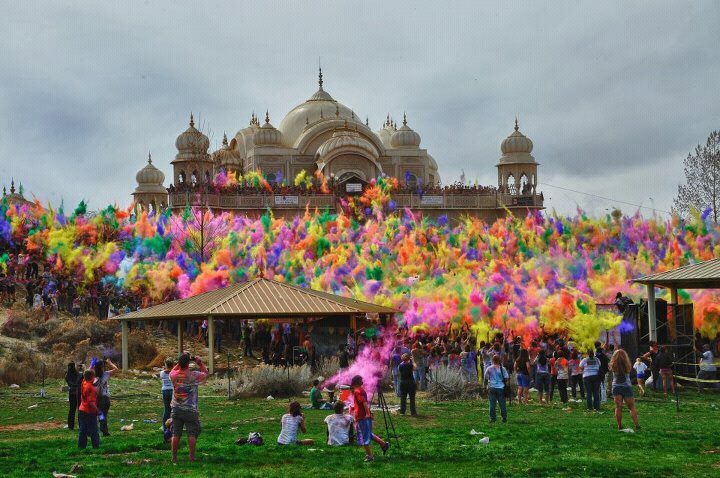 Bright colored chalk is thrown into the air.